This is my 3rd year doing Project Life and have done 12x12 pocket pages for the past 2 years. 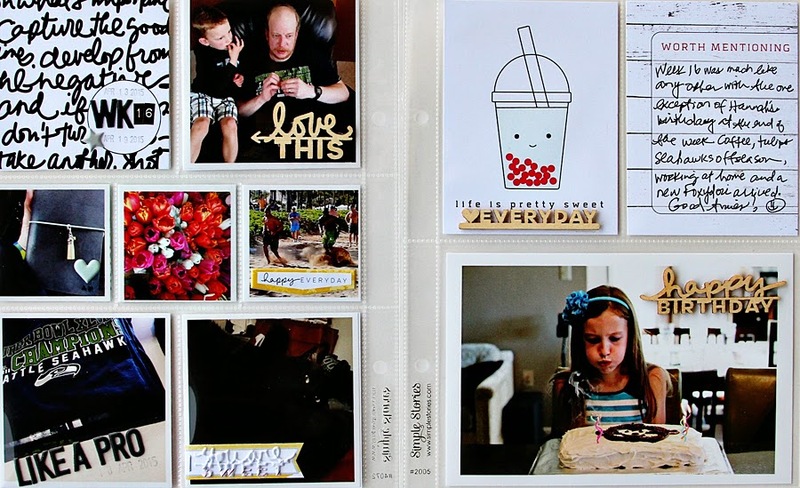 This year, I wanted to mix it up and decided on using 6x8 albums and still in the weekly format. I find the weekly format makes it easier for me to stay on top of it and "caught up". :) I have to be creative to get lots of photos in, but I love the challenge and it's working for me. 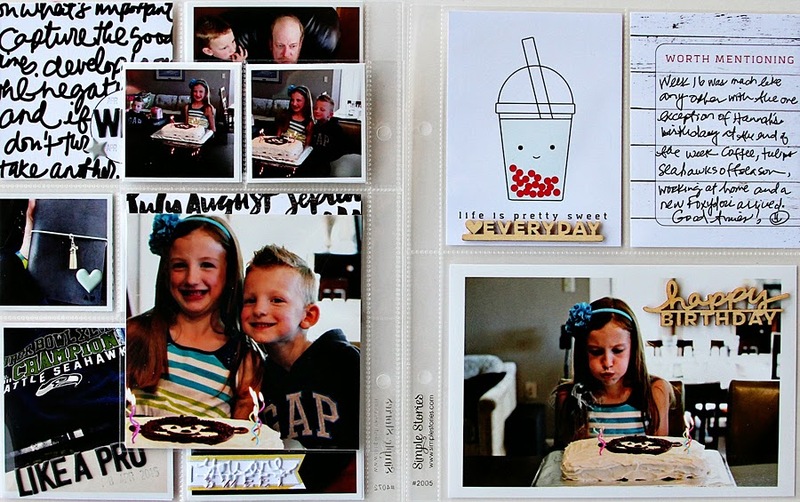 This week there was a birthday in my family and I added a 4x6 insert to get more photos in. And, more fun things from Evalicious! 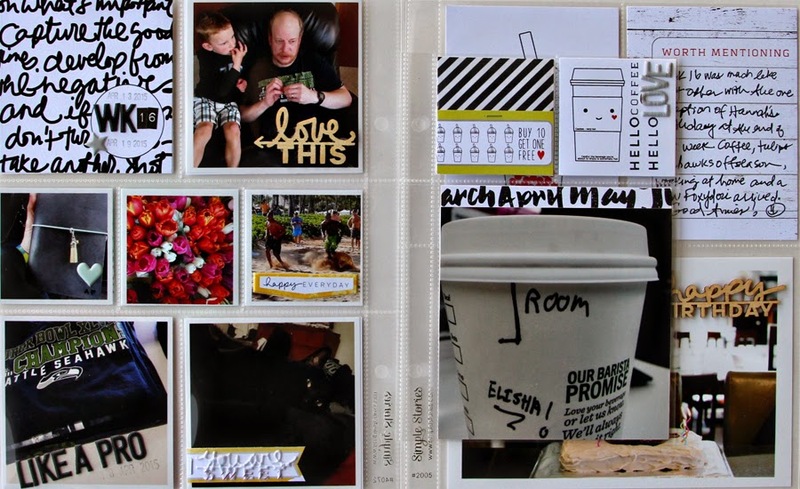 Eve's products are PERFECT for Project Life spreads. The card packs include 3x4 and 4x6 cards, which are easily cut down to 3x3 and 2x2 for my smaller pages. The week title card was a 3x4 card in the Life's Sweet PL card pack. The circle on the card was a perfect spot for the week title and dates using the Basic Black Puffy Sticker Alphas. 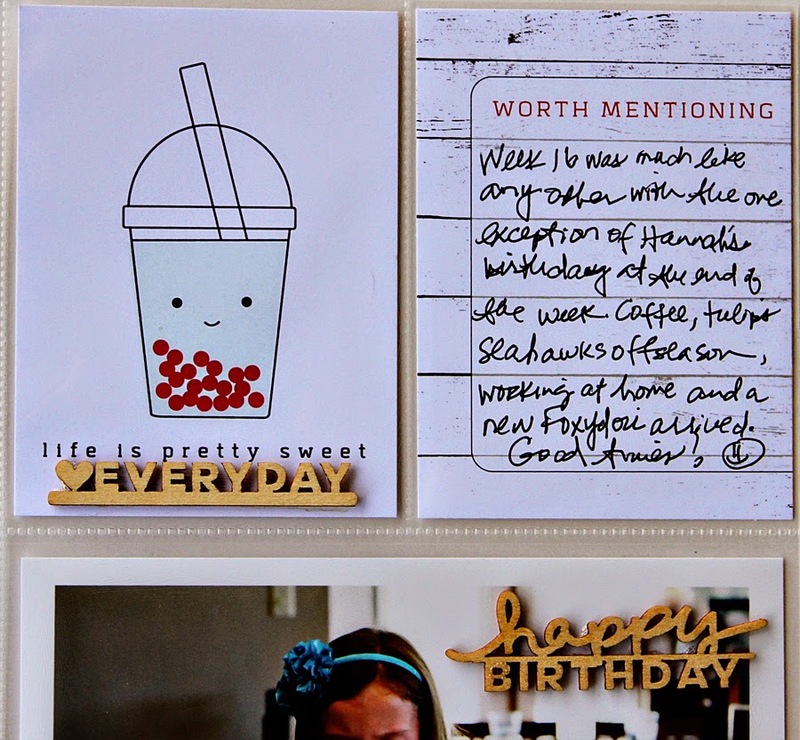 The 2x2 coffee cup card was cut from a 4x6 card in the same Life's Sweet pack. 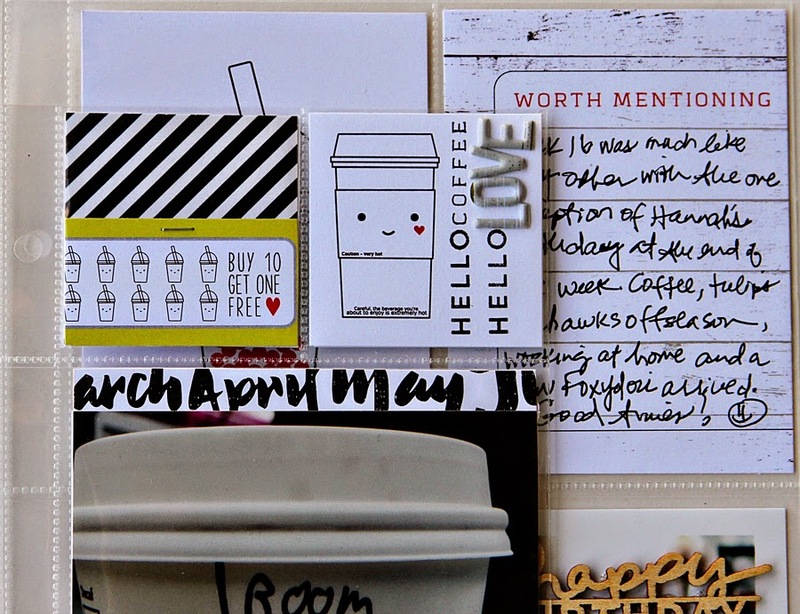 The stamped title is from the Morning Coffee stamp set and LOVE is the Gray Woodgrain Puffy Sticker Alphas. Here's a closeup of the wood veneer from the Life's Sweet Wood Veneer pack, adhered to the outside of the pocket. I really hope you have enjoyed this little look into my 6x8 Project Life process and thanks for stopping by.